To illustrate just how worrisome the Samsung Note 7 fire problem has been for the nation's airlines, all of them carried fire containment bags on board commercial aircraft, and may still, even though the government has officially banned the devices from flights.. It's a precaution against a potential catastrophe if one of the smartphones somehow gets on board, explodes, and catches fire. It's bad enough if it happens in your kitchen. It could be fatal if it occurs within a small space flying at 30,000 feet. An incident a couple of weeks ago, when a Note 7 caught fire while a Southwest Airlines jet was boarding, was a wake-up call and led a few days later to Samsung withdrawing the Note 7 from production. It was a huge reversal of fortune for Samsung, since the Note 7 had been acknowledged as among the best new smartphones. Its fatal flaw, apparently, is its lithium ion battery that can reportedly overheat to the point that it ignites. Fix that and you may have fixed the problem. Samsung may be pleased to learn that a chemistry professor at Virginia Tech has proposed a fix, that he says would make all smartphones resistant to fire. In an interview with Blacksburg, Virginia TV station WDBJ, associate professor Louis Madsen said he has been studying the problem of overheating batteries for the last five years. "Lithium has to transport across this battery and it actually moves through a liquid that's a flammable solvent,” he told the station. “If it gets too hot then it can boil, so some people may have seen batteries actually inflate if you overcharge them, I've seen a few of these. And then in the worst case, they can smoke or be heated up and start on fire." The solution, Madsen suggests, is fairly simple, though it may increase the cost of producing the batteries. Just replace the flammable liquid solvent with a gel that won't burn. 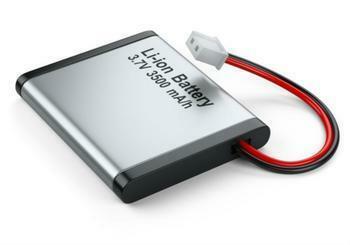 He says he has been working on just such a substance that he believes will lead to a safer lithium battery. Madsen says he believes Samsung engineers pushed their batteries to produce too much power to run more functions. That becomes a problem, he says, because that can produce heat, and the liquid solvent within the batteries can ignite at 120 degrees Fahrenheit. The gel he's working on can supposedly withstand temperatures up to 500 degrees Fahrenheit, Madsen says.